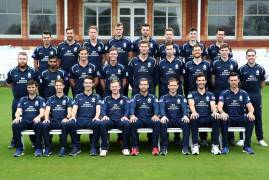 Reece Topley bowled Hampshire to the brink of the Royal London Cup’s knockout stages as they beat Middlesex by five wickets at Merchant Taylors’ School. The former England quick, who committed himself to white-ball only cricket over the winter, made Middlesex regret their decision to bat first in bowler-friendly conditions following a delayed start. 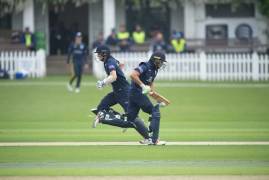 The 24-year-old’s 4-40 ensured the hosts were restricted to just 199-8 in their 45 overs, a target the South Group leaders made comfortably, despite a mid-innings wobble, led by 56 from England discard James Vince. 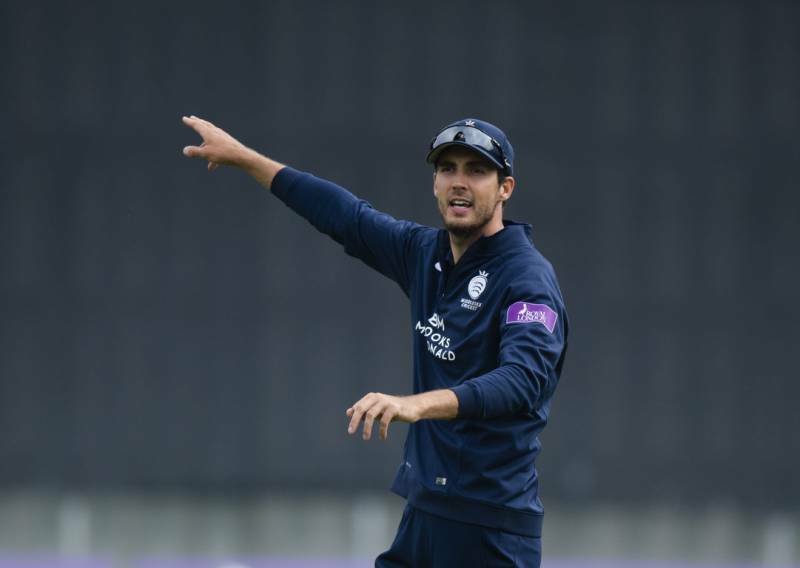 Eyebrows were raised when Middlesex skipper Steven Finn opted to bat after winning a toss delayed for an hour by early morning rain. 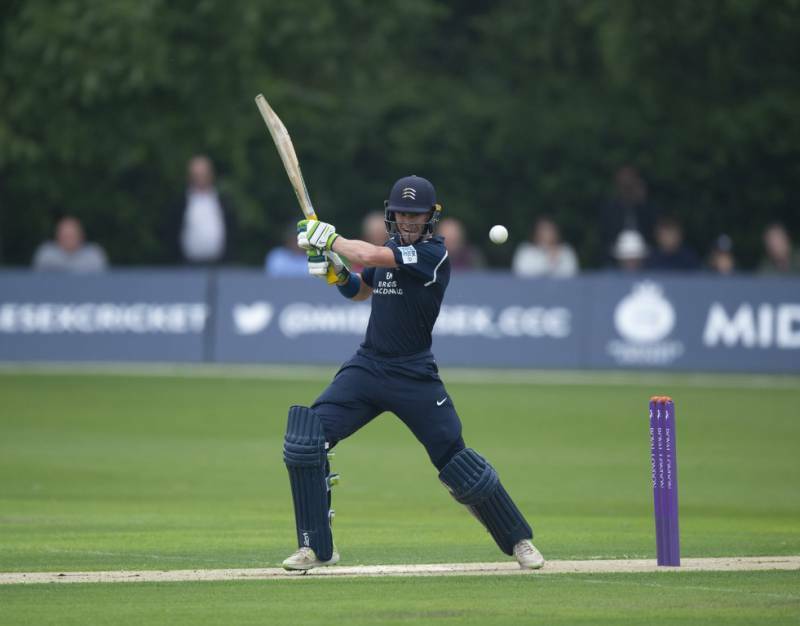 Deprived of club captain Dawid Malan on Test duty and England one-day skipper Eoin Morgan, ruled out with a cracked finger, much depended on openers Paul Stirling and Nick Gubbins. 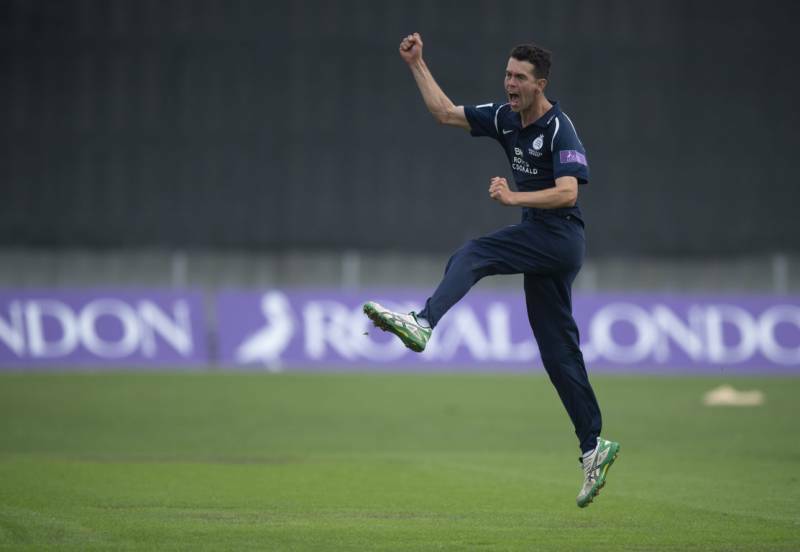 However, Gubbins perished early, caught in the gulley for nine giving Topley his first wicket. 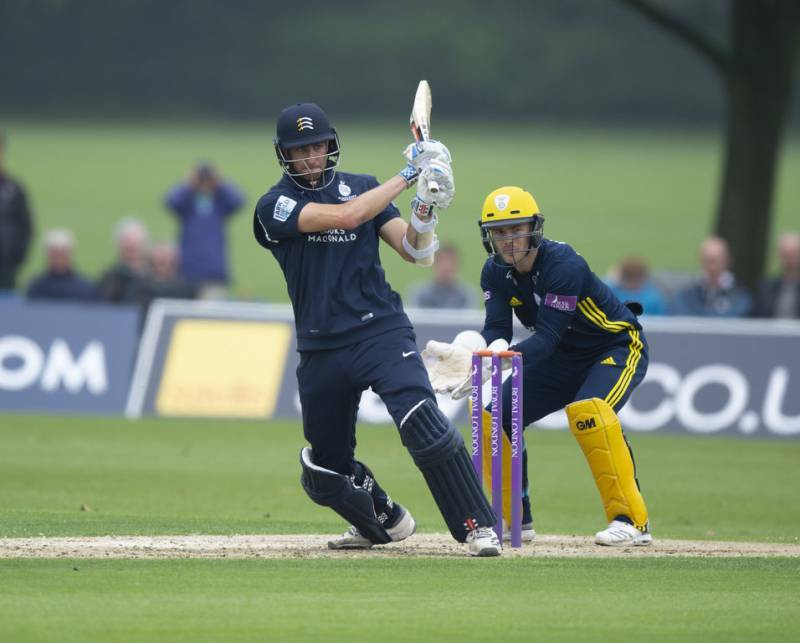 Under murky skies and with an outfield too wet to afford batsman value for their shot-making, even Stirling with two centuries already in the competition struggled to break the shackles. 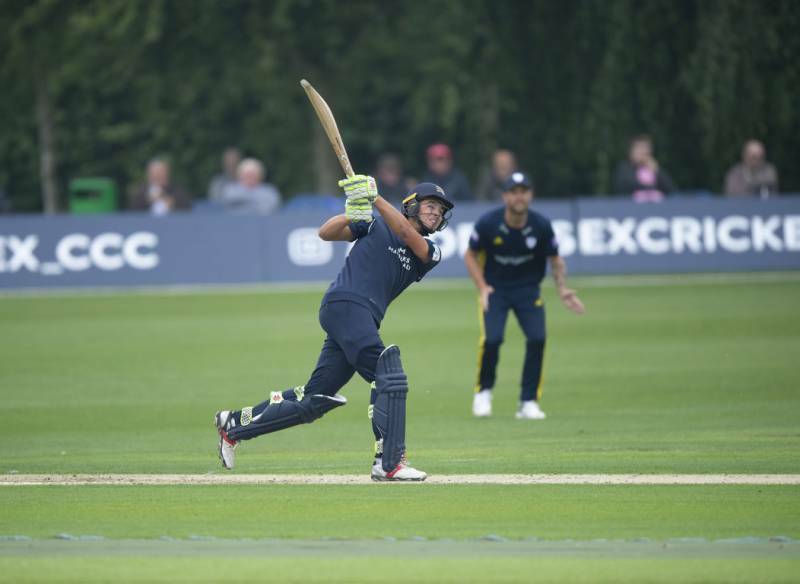 The Ireland international did hoist Topley for one huge six into the car park but trying to repeat the shot he fell to the next delivery, holing out at mid-off. 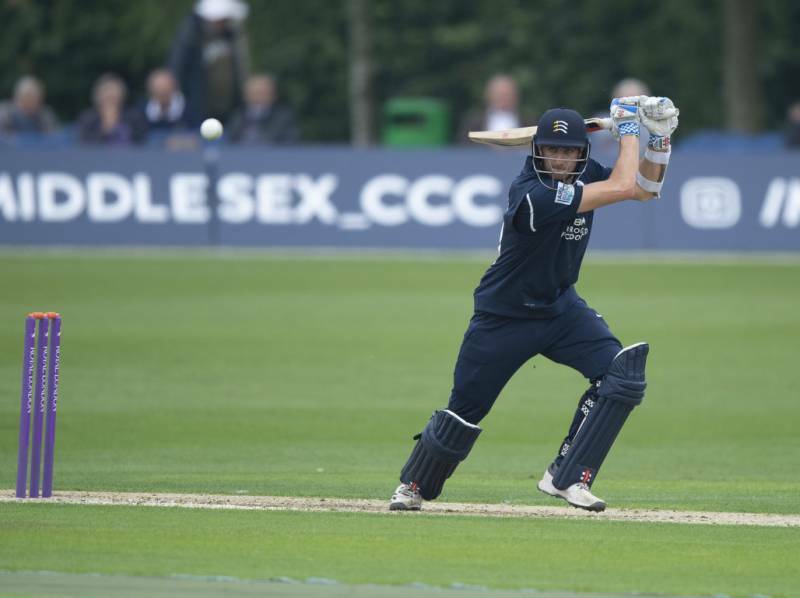 This left Max Holden, making his list-A debut for Middlesex and the barely more experienced Stevie Eskinazi needing to entrench. The pair kept the scoreboard ticking but save for a huge straight six from Holden boundaries were scarce in a third-wicket stand of 62 ended by Vince who trapped Eskinazi LBW for 42. 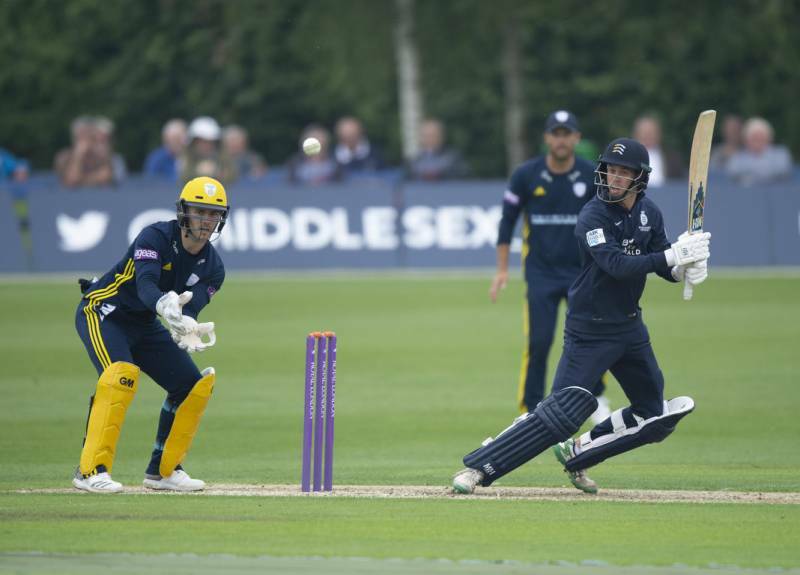 Topley then returned to the attack to have Holden caught behind for 38 just as the hosts were attempting to accelerate. 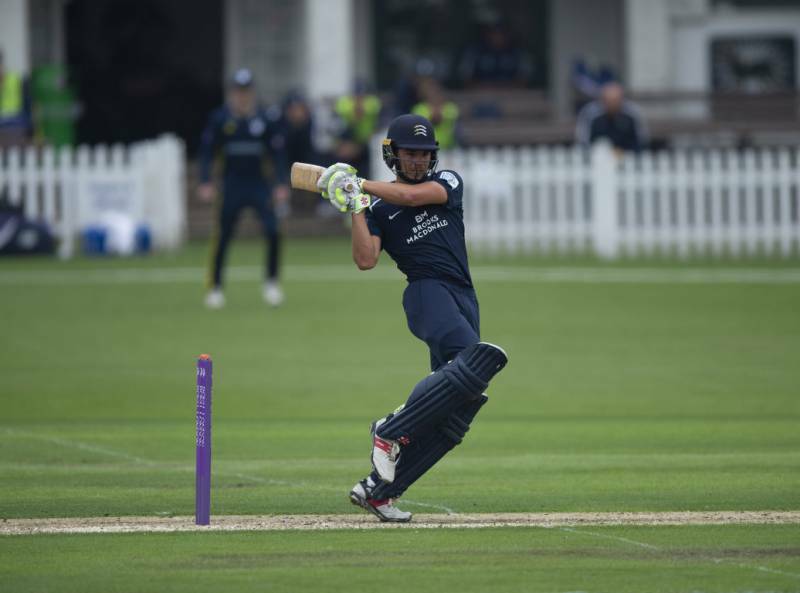 Overseas ace Hilton Cartwright and wicketkeeper John Simpson attempted another rebuild before the former had his furniture rearranged by former Middlesex man Gareth Berg. 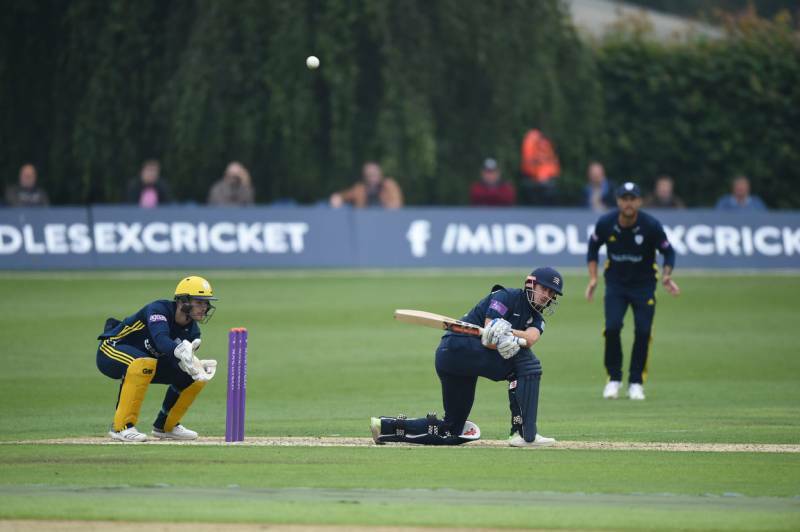 And when Simpson lofted Mason Crane (2-35) into Topley’s clutches at mid-off just three overs later Middlesex were 158-6. 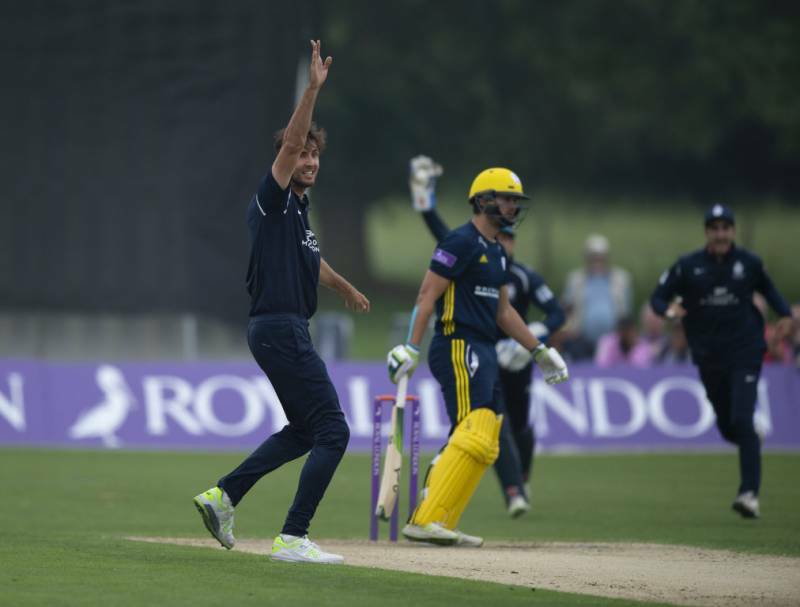 A few lusty blows from Tom Helm got Middlesex to the brink of 200, but Topley bowled him to complete his four-wicket haul. In reply, Rilee Roussow was caught behind to a reckless swipe off Finn (2-42), who also had Alsop caught by Eskinazi at short cover. 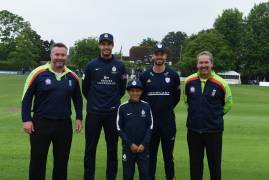 But with Joe Weatherley providing solid support for the free-flowing Vince the visitors were seemingly cantering inexorably towards victory with even the competition’s leading wicket taker Ravi Patel – back on his old schoolground – unable to unsettle them. 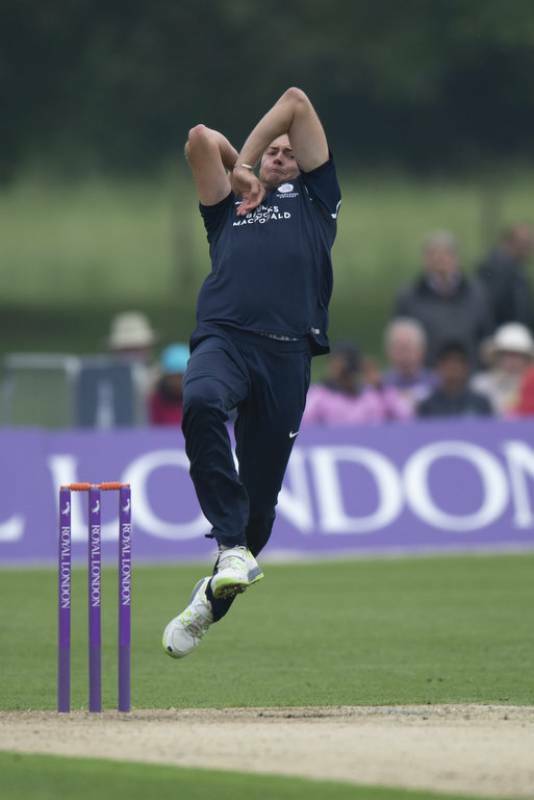 Vince’s 50 came in 64 balls, but with his team in cruise control the England man needlessly took on mid-on fielder James Franklin who promptly ran him out. 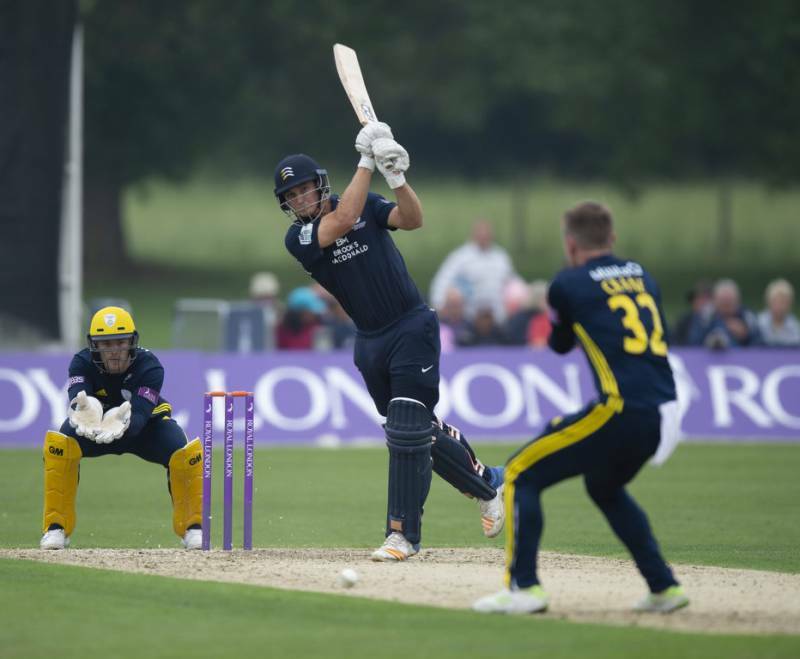 When Weatherley (38) holed out to Finn at mid-off from the bowling of Sowter six balls later, Middlesex briefly had hope. 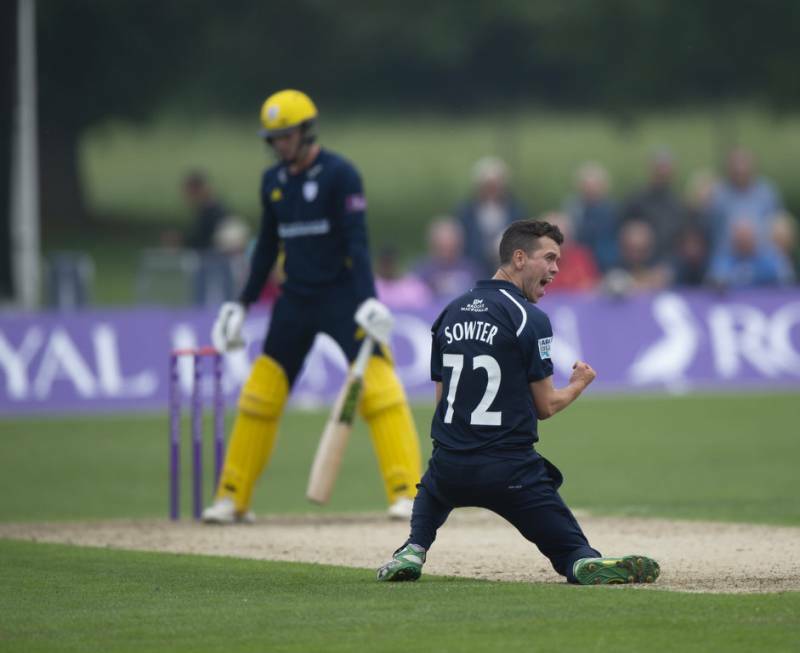 Sowter (2-37) had Bradley Taylor caught behind for 11 to crank up the tension, but Jimmy Adams and Lewis McManus’ 60-run stand eased Hampshire home with 26 balls to spare. 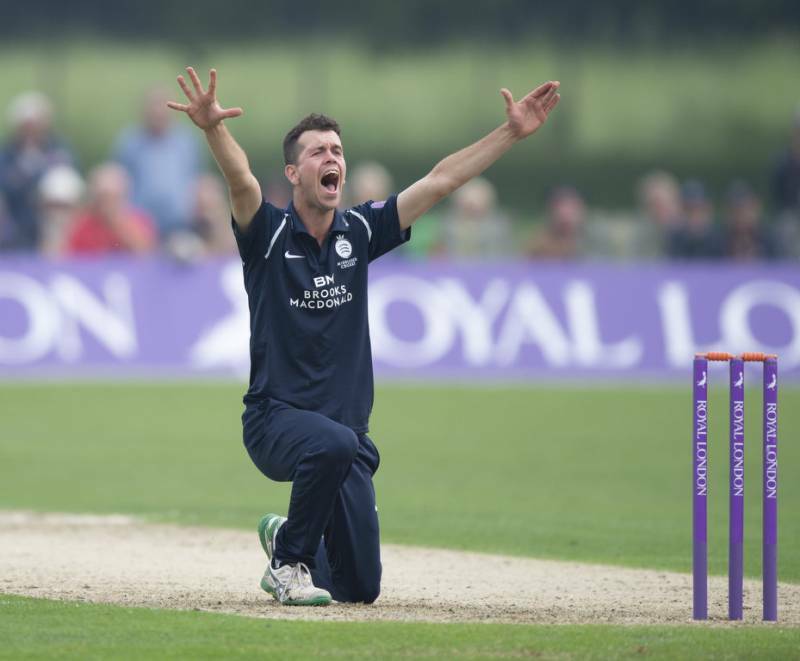 Match Report provided by ECB Reporters Network. 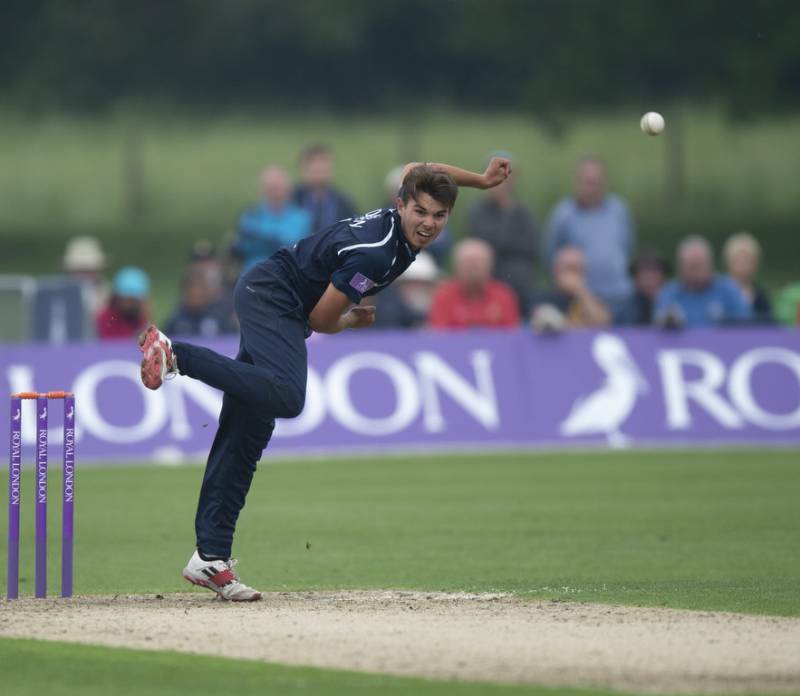 All the action from our Royal London One-Day Cup loss to Hampshire at Merchant Taylors' School. 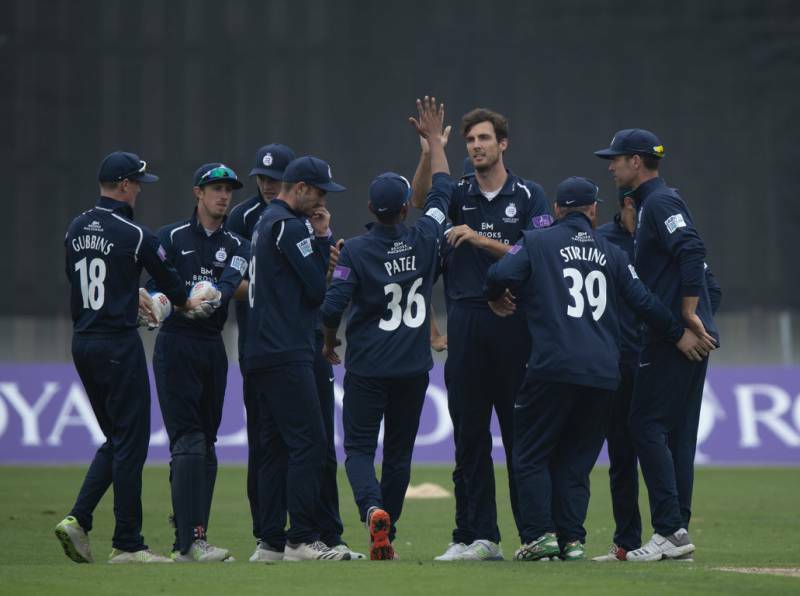 Middlesex Captain Steven Finn chats at the close of the Royal London One-Day Cup clash with Hampshire at Merchant Taylors' School, where the visitors ran out winners by five wickets. 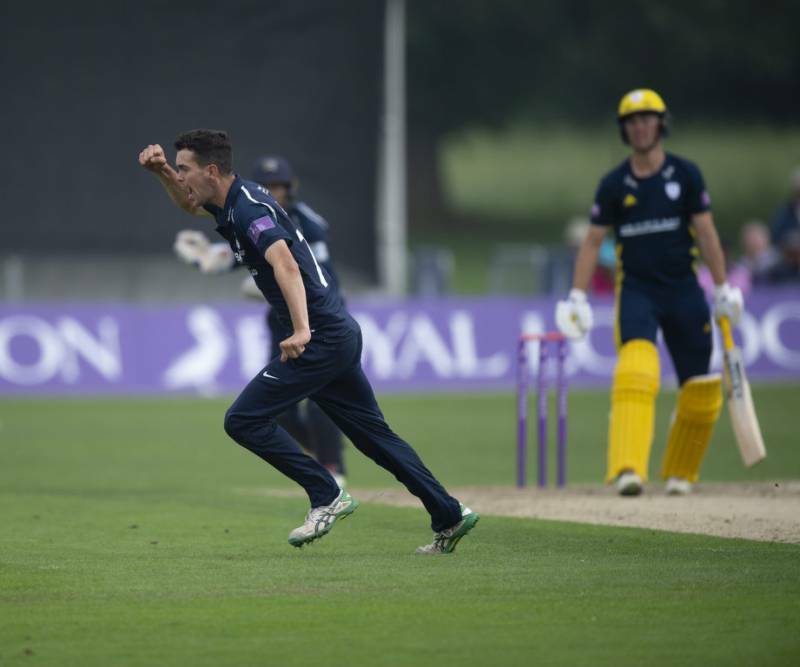 All the images of Middlesex bowling against Hampshire at Merchant Taylors' School in the Royal London One-Day Cup. 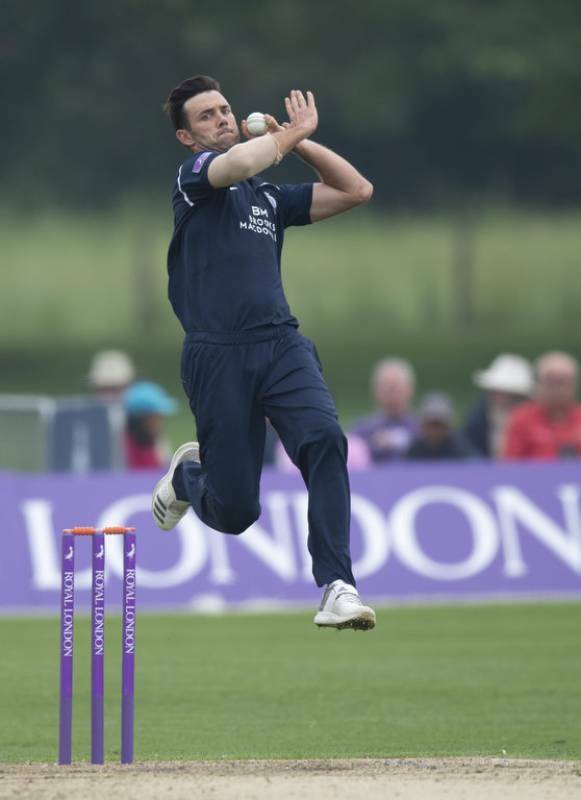 Match report from our Royal London One-Day Cup loss to Hampshire at Merchant Taylors' School. 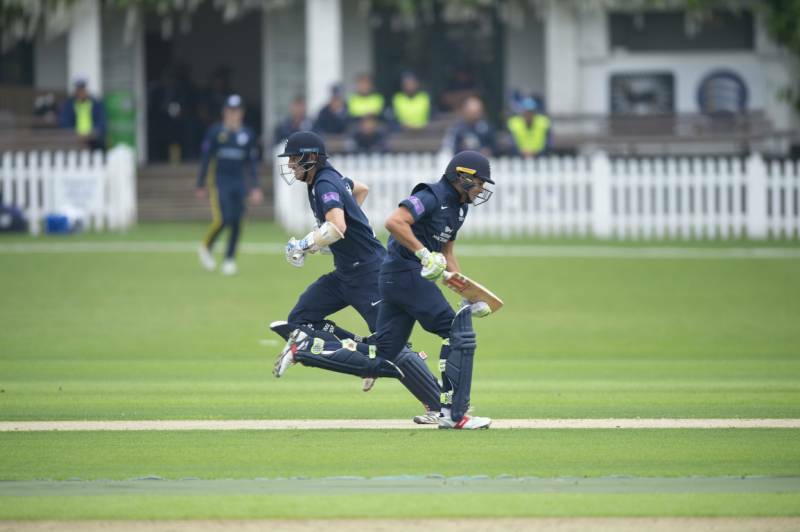 All the images of us batting against Hampshire in the Royal London One-Day Cup at Merchant Taylors’ School. 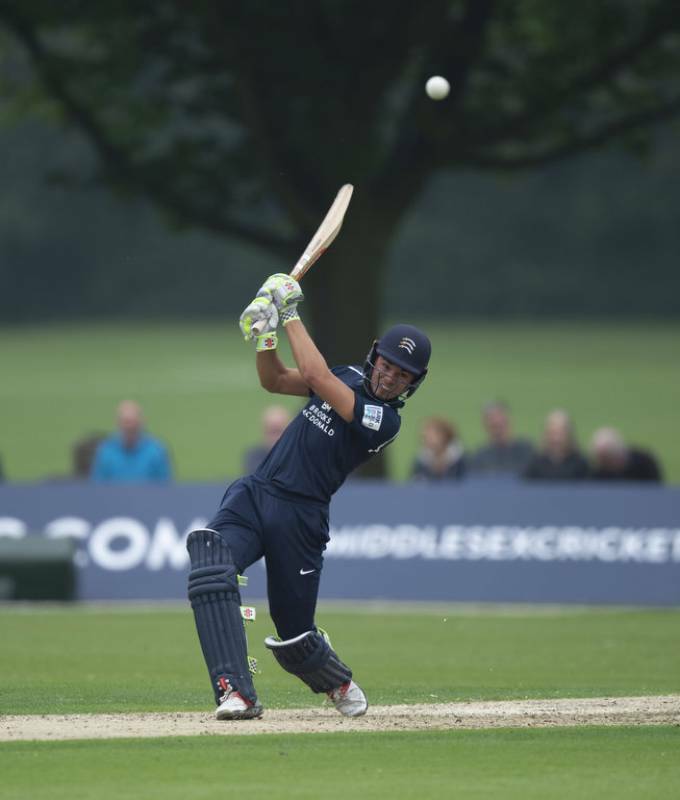 Middlesex name a 13 man squad for the game at Merchant Taylors' School against Hampshire.